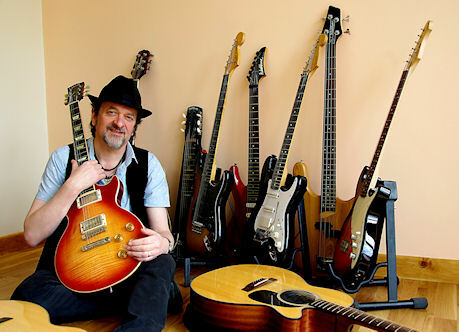 As a guitarist Keith has played alongside and supported many luminaries such as Spooky Tooth, Mike D’Abo, Steve Winwood, Ruby Turner, Larry Burton, Dave Markee and Henry Spinetti (Eric Clapton Band and Tina Turner) Greg Ridley of Humble Pie, The Groundhogs, Robbie Blunt, (Robert Plant) Luther Grosvenor of Mott The Hoople, Gino Washington, and many others. If you are looking for a guitarist for gigs, tours or studio work or maybe take advantage of Keith's online session work....then take a listen to the demo below. If it is a different instrument you would like. Keith can play various instruments. Blues harp, keyboards, bass guitar, Vocals etc. But if the track requires something a bit more specialized, such as Saxophone or female vocals....this is also possible. Density Music has a pool of musicians to choose from. This will of course have an impact on the fee to cover the cost of hiring in a session musician.